Halloween Haunted House Card Making Project | Happy Halloween! It’s just over one week to go until Halloween! I love Halloween and seeing all the pumpkins and decorations in the shop windows when I’m wandering through town. I live in the UK and Halloween is not as big of a celebration as it is elsewhere in the world, but every year it seems to get a little bit more popular and the decorations and sweets start appearing in the shops that little bit earlier. As far as I know, Halloween handmade cards aren’t really a ‘thing’ in the UK (at least, nobody I know sends them), but I’ve had a couple of requests from people in the USA for a Halloween card making printable – so here is my attempt! I’d love to know if you send Halloween cards (especially if you are in the UK – go on, prove me wrong 🙂 !! ), and if so – who to? Is it just to family, or to friends as well? Let me know in the comments! 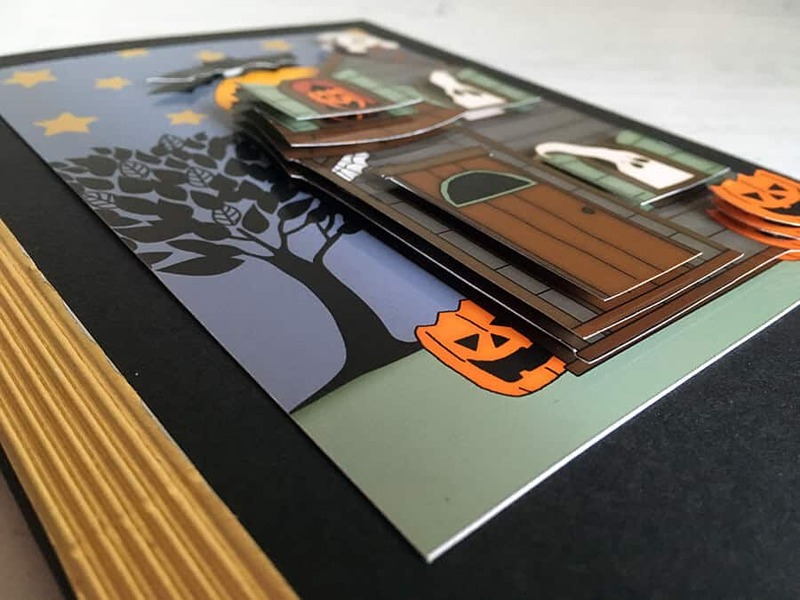 I thought this haunted house graphic with all the little pumpkins and ghosts peering in the windows had just the right balance of spooky and cute, which is why I chose it for this Halloween card making printable. 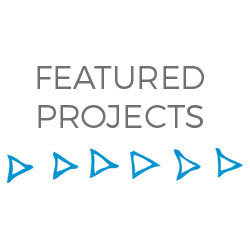 The printable to complete this project is available in my free resource library — get the password at the bottom of this post. 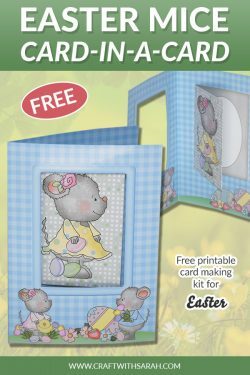 Please note that this decoupage printable is for personal use only. 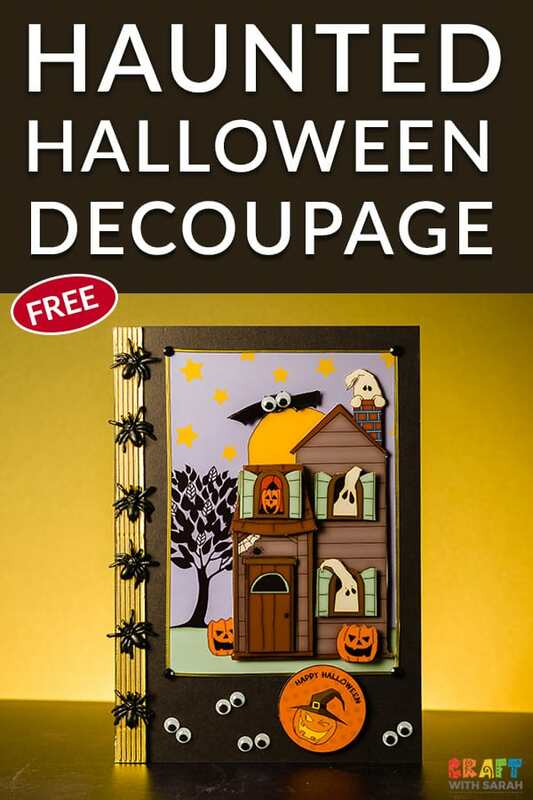 Here’s how I made my Halloween card using the haunted house decoupage sheet. 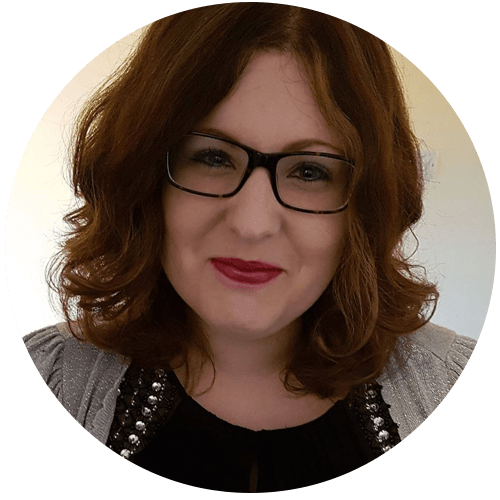 Note: Some of the links included below are affiliate links, which means that if you click through and make a purchase I may receive a commission (at no additional cost to you) which helps support me to keep creating free printables! I print my craft sheets onto Crafty Bob Glossy Paper. This is a special type of paper designed especially for greetings cards and crafts. I like to use this paper because the printer ink dries instantly and is smudge-proof straight after printing, meaning that I can start using the printed sheet straight away. If you aren’t a fan of the glossy shiny look to your greetings cards then the paper is available in matte too. Cut around all the shapes on the printable so that you can assemble your 3D design. Use double sided sticky tape to stick the base image of the haunted house onto a black A5 card blank. I stuck the base image on the right side of the design so that I could add some extra decorations down the left edge. Grab some sticky foam pads and assemble the decoupage layers by sticking the cutouts onto the base design in size order (largest pieces go on first). 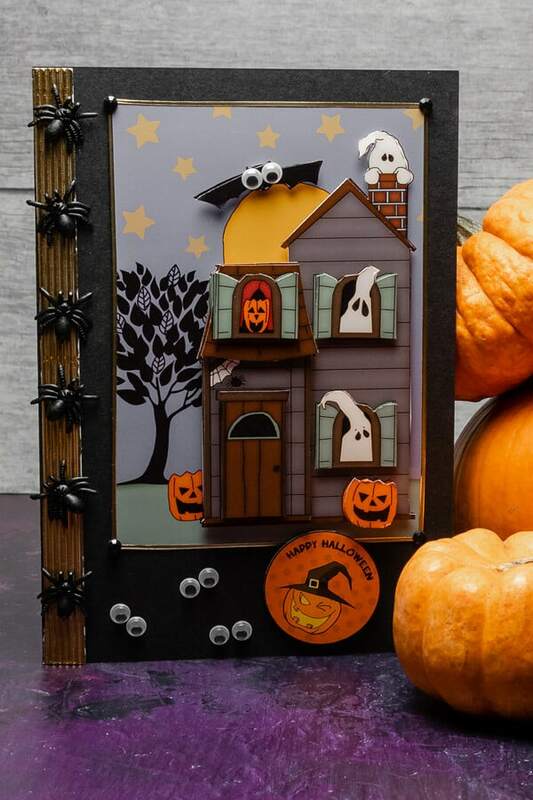 This creates a fun 3D effect to your card which really helps the haunted house to ‘come alive’ – eek!! 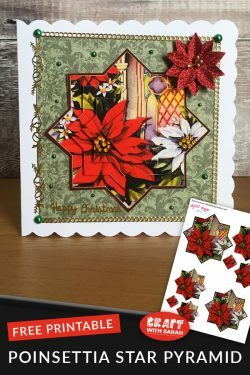 Add some standout colours to the left side of the card. I chose an offcut of gold corrugated card for some extra depth and texture. I bought some plastic spiders from Amazon which I stuck on top of the gold card using Mod Podge glue. Putting them all on at different angles gives the rather unnerving effect of making it look like they are about to crawl right off the card. Probably not one to choose if you don’t like spiders!! 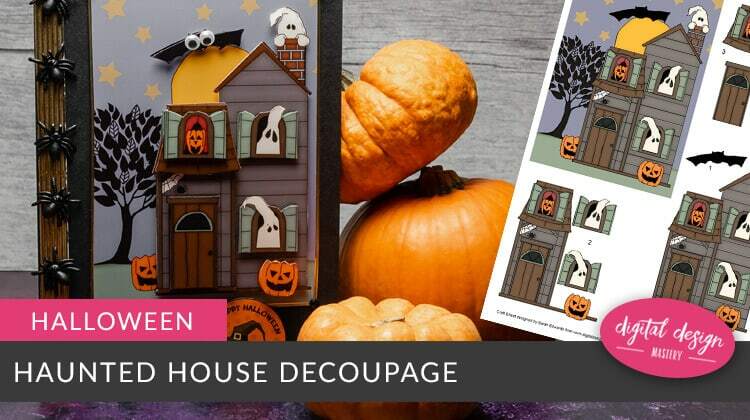 To finish off the card, I stuck on a ‘Happy Halloween’ circular topper and then used my favourite Mod Podge glue to add some googly eyes to the bat graphic at the top of the house, and also to help fill the black space at the bottom of the card. 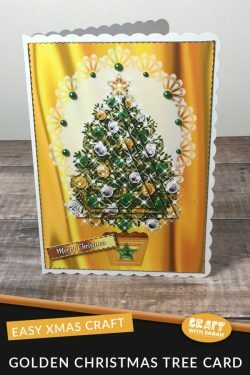 I felt like the card needed a little something else to help tie all the elements together, so I stuck some gold peel-off stickers around the edge of the haunted house decoupage, and then completed the card with some black craft gemstones on each corner of the gold peel-offs. 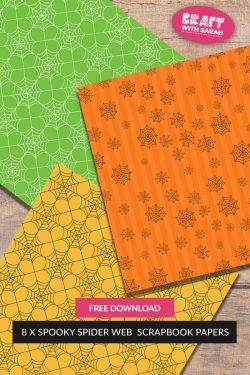 If you use this Halloween printable for your card making, I’d love to see your finished design! 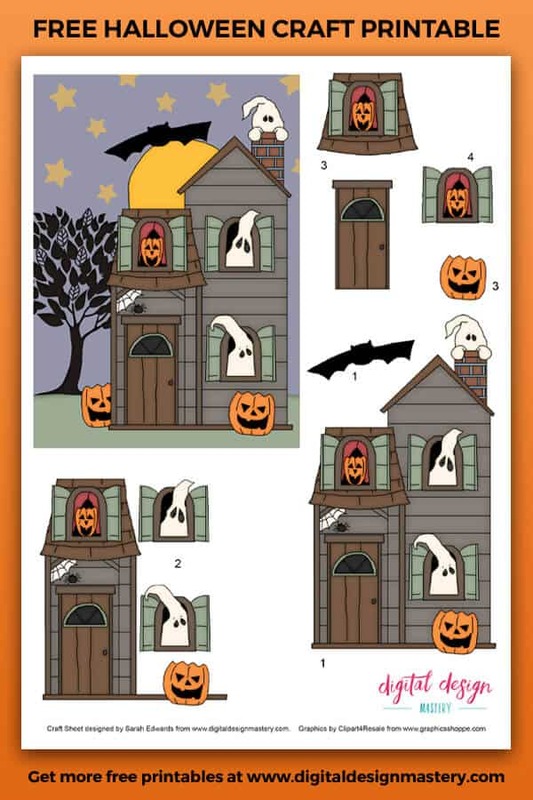 Please take a second to share "Halloween Haunted House Card Making Project" on Pinterest.